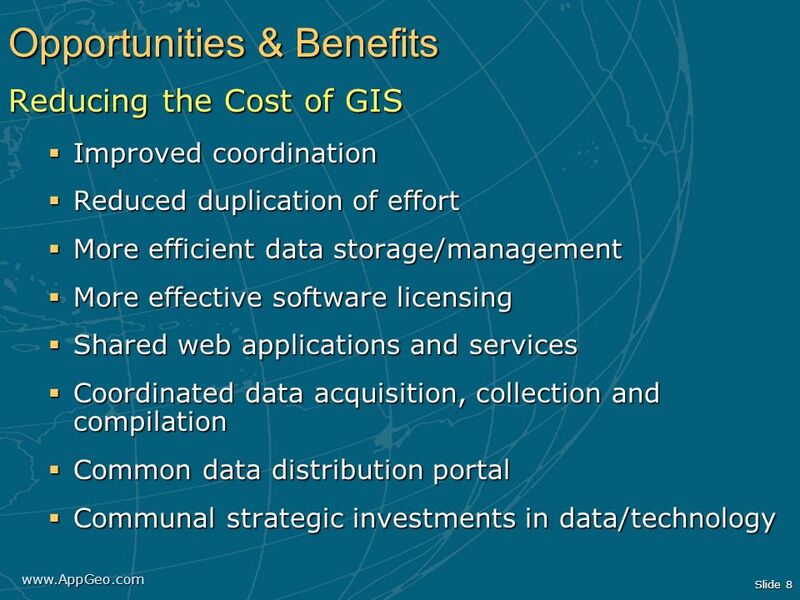 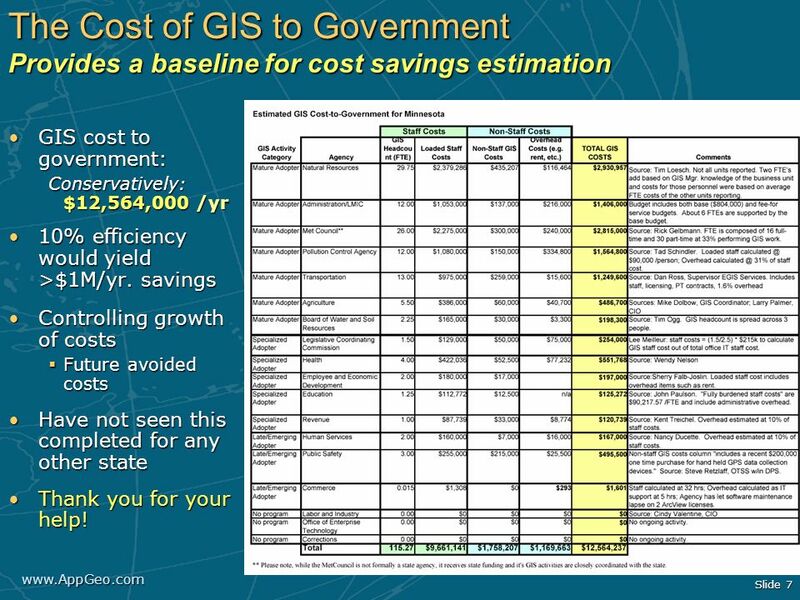 GIS cost to government: Conservatively: $12,564,000 /yr 10% efficiency would yield >$1M/yr. 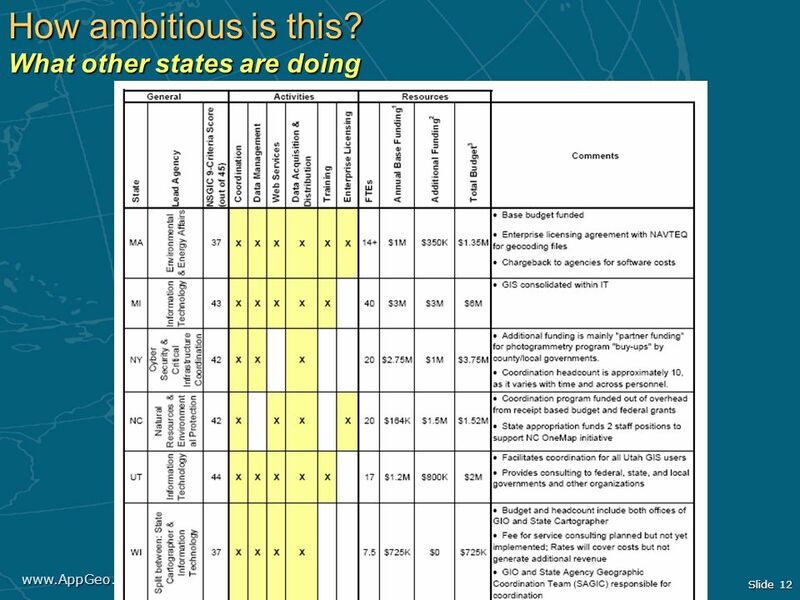 savings Controlling growth of costs Future avoided costs Have not seen this completed for any other state Thank you for your help! 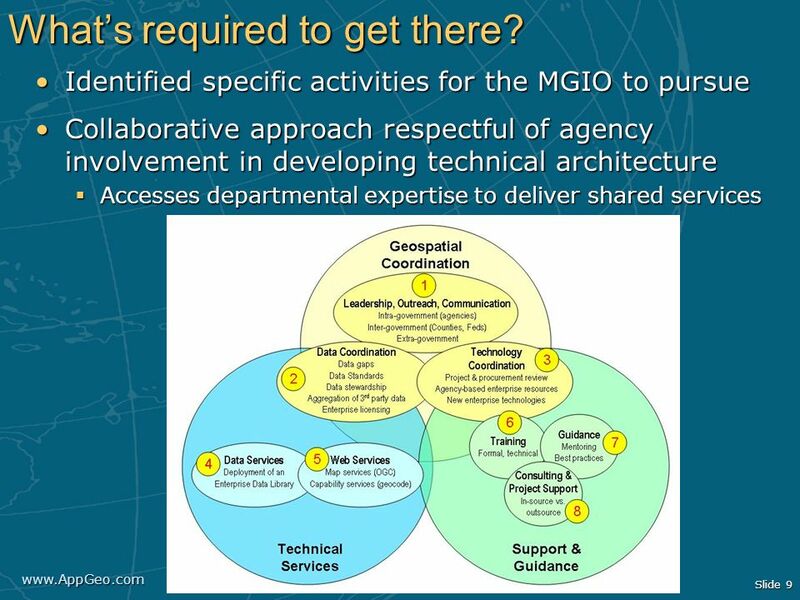 9 What’s required to get there? 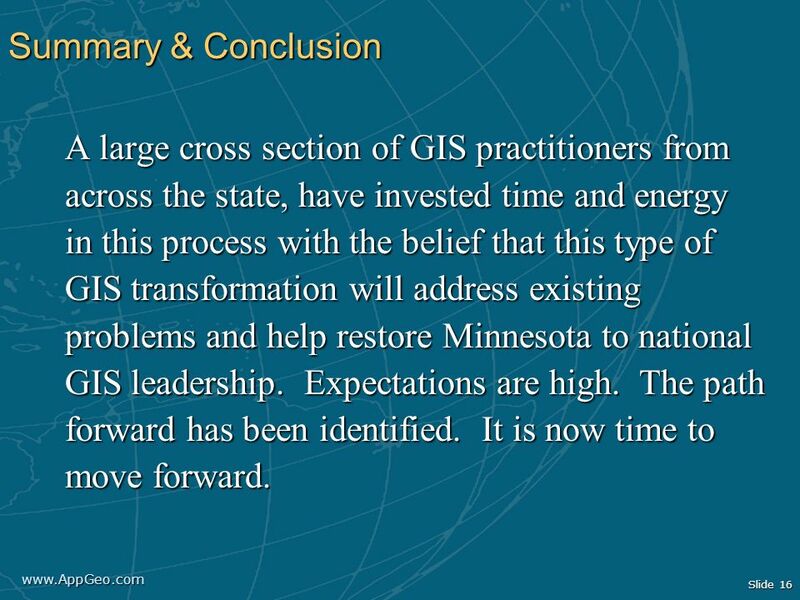 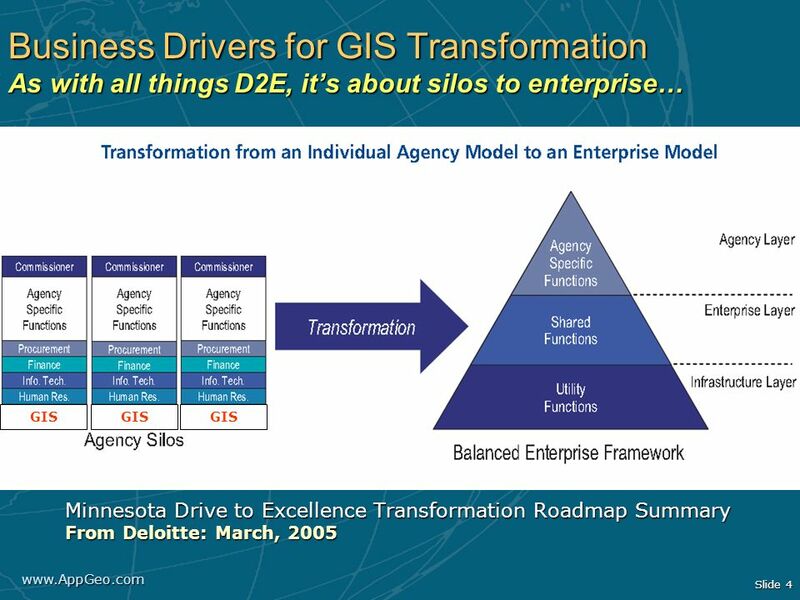 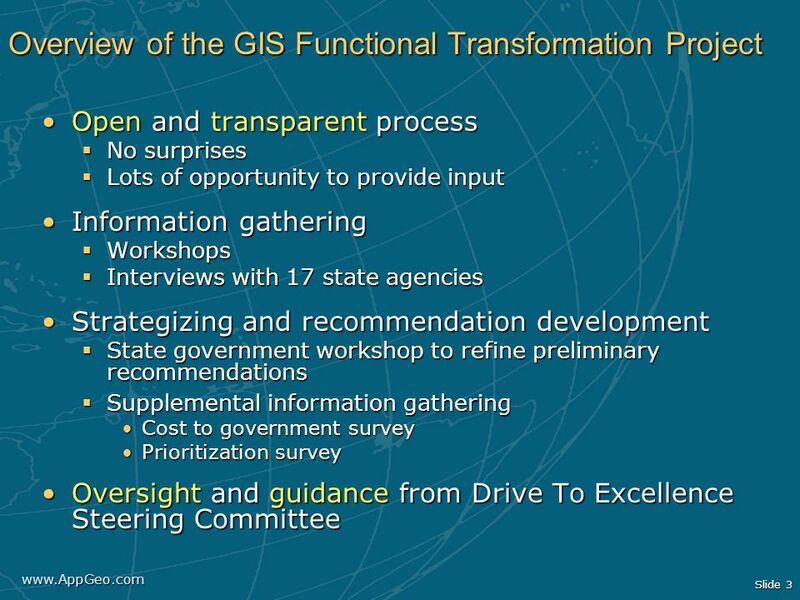 16 Summary & Conclusion A large cross section of GIS practitioners from across the state, have invested time and energy in this process with the belief that this type of GIS transformation will address existing problems and help restore Minnesota to national GIS leadership. 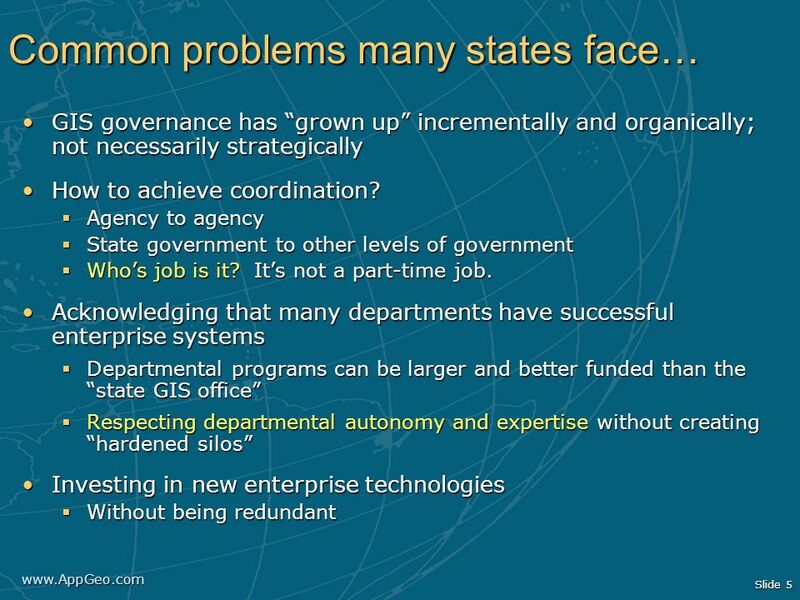 Expectations are high. 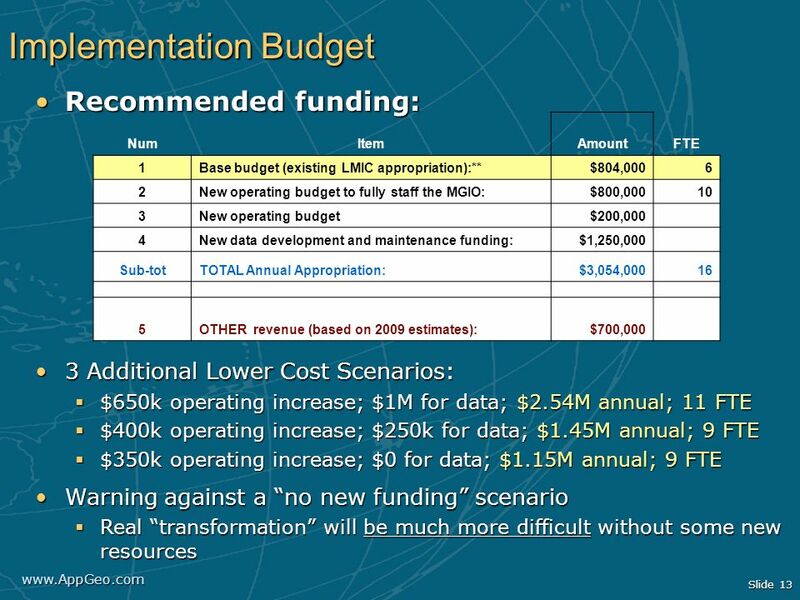 The path forward has been identified. 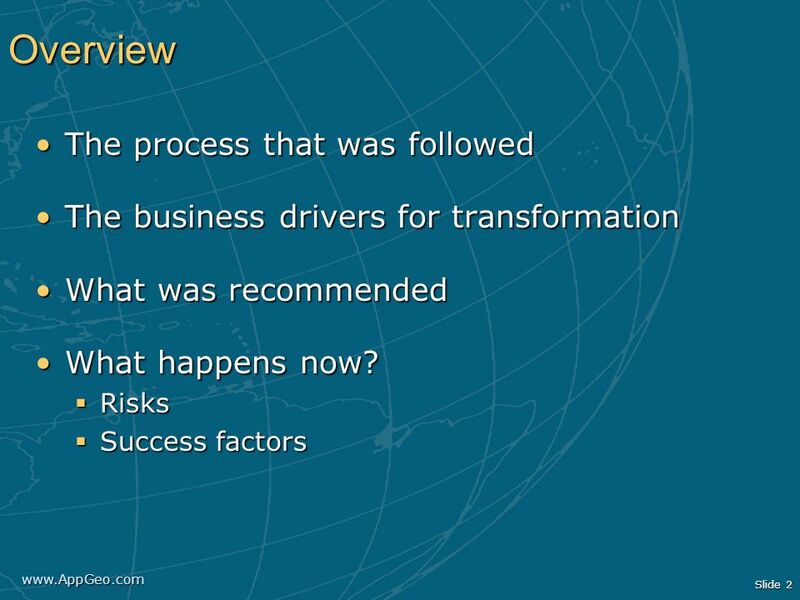 It is now time to move forward. 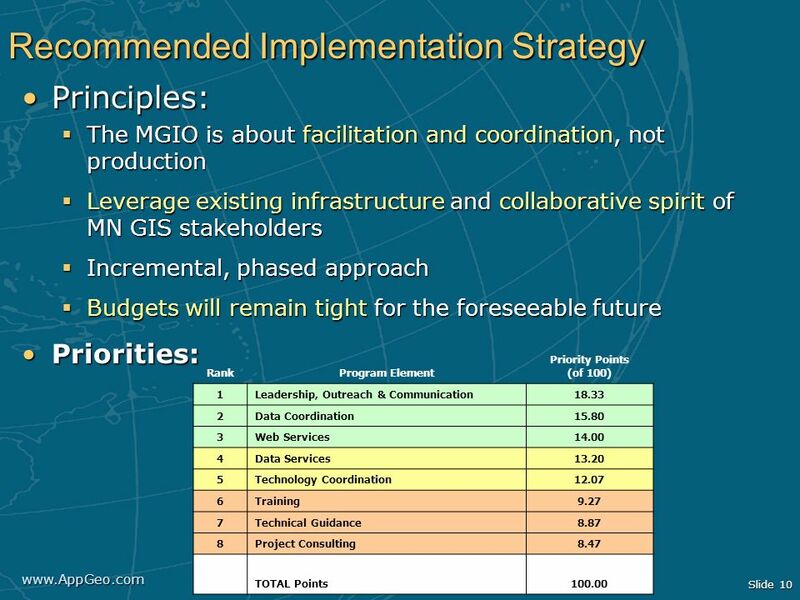 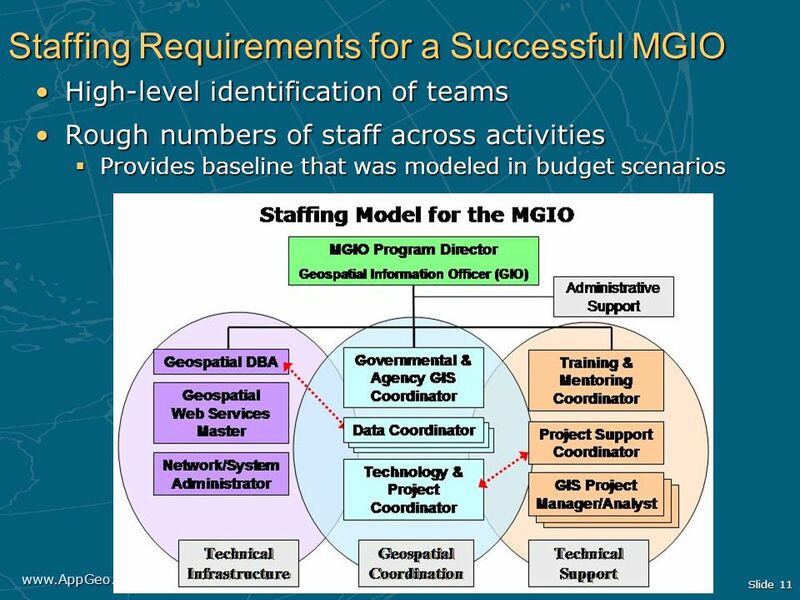 Download ppt "The Minnesota Geographic Information Office: MnGEO"
1 of 17 Information Strategy The Features of an Information Strategy © FAO 2005 IMARK Investing in Information for Development Information Strategy The. 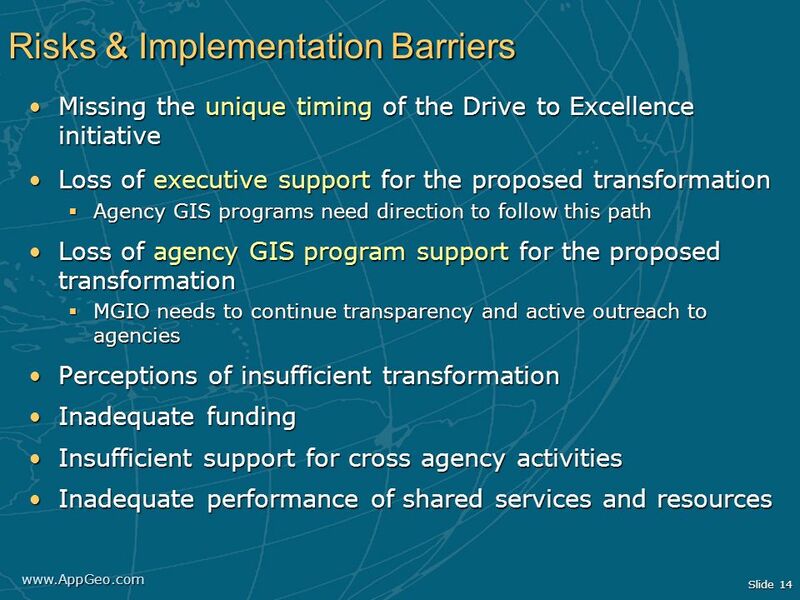 Capacity Building Mandate We, the participants…recognize the need to support: …A coordinated effort to involve and assist developing countries in improving. 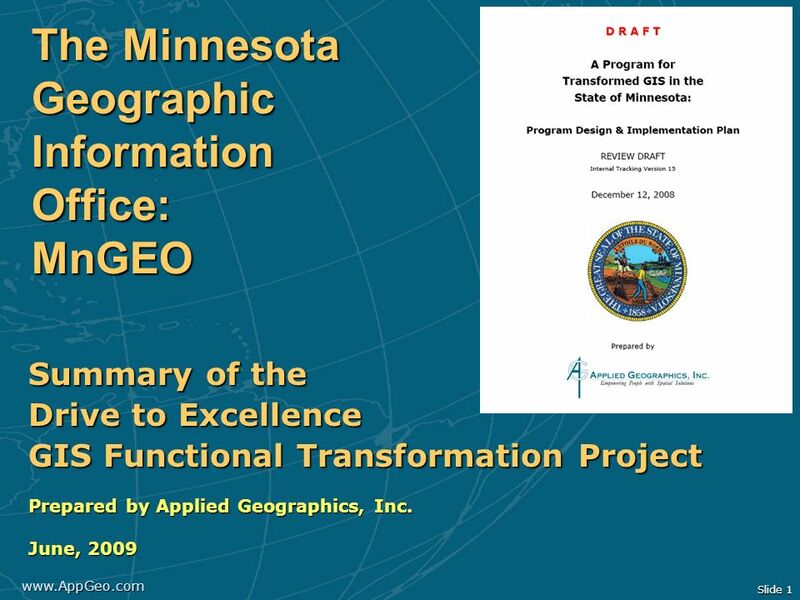 1 Consultant Contract Program Collaboration Project ACEC-Mn/DOT Annual Conference March 2, 2010. 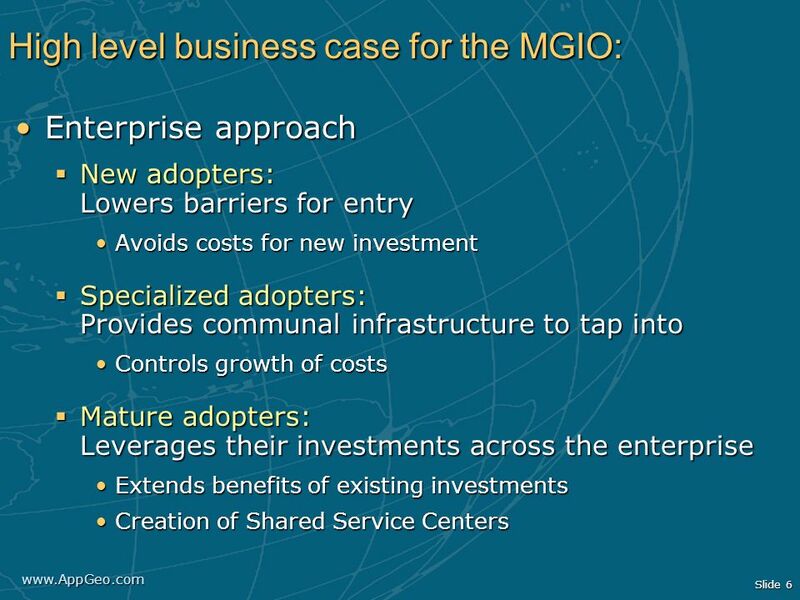 MGIO and the EPC Snapshot Briefing June 11, 2009.